Homeowners who choose the wrong home improvement loans are throwing away a pile of cash. The best home equity loan and how to pay less for it. NSH Mortgage has the wisdom and tools to help you on deciding which home equity loan saves you the most money. But there is no single right or wrong choice. Which will suit you best will depend on how much you need to borrow. Secondly, how good your credit is and how much equity you have. For instance, home equity is measured by the amount which your home’s market value exceeds your mortgage balance. To equip yourself with the information you need to make an informed choice, keep reading. To begin with, they will want to borrow just hundreds of dollars and with the knowledge that they can easily pay back this down payment quickly. Secondly, they might be trying to earn rewards, and will pay the balance back in full. Finally, they will get a card with a zero percent APR on purchases for up to 21 months, providing they can pay the debt off during that period. Credit cards frequently involve the least amount of conflict. For example, you are using an existing line of credit and even if you apply for a new card. The process is quick and free. Just avoid borrowing more than you can pay back quickly. These typically have lower interest rates than credit cards, and with fixed interest rates and payments, they make budgeting easier. But those are still higher than the other types of loans explored below. So personal loans may be best if you are borrowing smallish amounts, perhaps $1,000 to $5,000. If you have a rewards credit card, you might want to put the improvements on it, then repay it with a personal loan at a better rate. Again, you are likely to get a decision on your application quickly and with little hassle. Meanwhile, the set-up costs are generally low and often free. If you want to borrow larger sums, the options below almost always come with lower rates. However, expect significant set-up costs and more admin with them. Furthermore, they are also secured, meaning you could face foreclosure if you fail to keep up payments. You borrow a lump sum and pay it back in equal installments over an agreed term. Also, you will probably get a fixed interest rate. In other words, this loan is simple, straightforward, and highly predictable. Because second mortgages are riskier for mortgage lenders than first mortgages, you will pay a higher interest rate. But because the loan is secured by your home, it is lower than just about any other financing. It is a second mortgage, so expect to have to provide plenty of documentation before closing. Actually, closing costs can be significant, though not usually as high as on a first mortgage. They can often be rolled up into the loan. A (HELOC) shares characteristics with both a home equity loan and a credit card. It is still a second mortgage. However, the closing costs are lower, even zero. Additionally, they tend to process faster. As with plastic, you get a credit limit, and you can borrow and repay up to that amount as often as you wish. Better yet, you pay interest only on your outstanding balance. This flexibility can be very attractive for multi-phase home improvement projects, where money needs to be invested over longer periods. (HELOC)s can be harder on budgeting, because they almost always come with variable interest rates. In addition, each (HELOC) has two phases; a drawing phase, in which you can use and reuse your credit as much as you like, and a repayment phase, when you can no longer borrow, and must repay the balance over the remaining years of the loan. Some (HELOC)s let you fix your interest rate once you enter the repayment period. They are called convertible (HELOC)s. Just make sure you fully understand how your line of credit works. A home equity loan or (HELOC) gives you a second mortgage. But you might prefer to refinance your existing first mortgage instead. You will then have just one loan. Not to mention, you will likely get a slightly better rate than second mortgages typically offer. But you will usually face the full mortgage application process. In fact, closing costs may be higher than with other sorts of loans. Still, you may well be able to roll up those costs within the loan. If you have a beneficial equity in your home, you may be able to gain access to some of it by using a cash-out refinance. You will receive cash in the sum by which you increase your mortgage balance. Which includes less costs and you can spend that on home improvements or anything else you want. Obviously, this is especially attractive if your current mortgage has an interest rate that is higher than the new one. In that case, your monthly payments might hardly move. But it is often a bad idea to refinance to a higher rate than your existing one. You might be better off using a home equity loan or (HELOC). That way, only part of your borrowing is at a higher rate. Use a mortgage calculator to model your options. These 203k loans from the Federal Housing Administration are loaded with pros and cons. 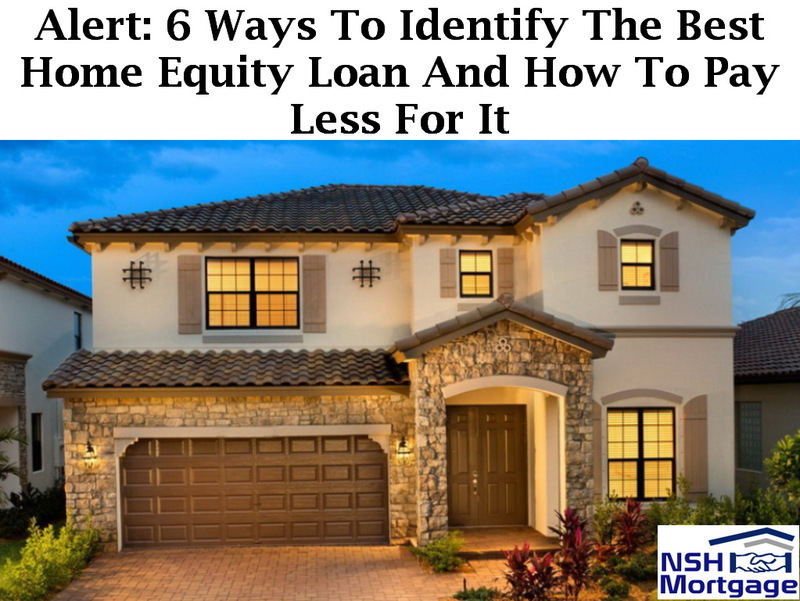 Maybe the biggest pro is that you can borrow against your future home equity, because the loan to value ratio is based on the improved value of the property. Another advantage is that you stand a good chance of getting approved, even if your credit score is unimpressive. But perhaps the biggest drawback is that you will be on the hook for mortgage insurance premiums (MIP) premiums until you sell your home or refinance again. If your budget, including a 15 percent contingency, is $35,000 or less, you may be eligible for a streamlined version of the FHA 203k loan. However, you need to be able to stay in your home throughout your project. What is the upside? You get an easier process, including fewer demands for paperwork, and straightforward payments to your contractor. Fannie Mae’s HomeStyle® Renovation loan is sort of like the FHA’s 203k loan. But it is often cheaper and easier to close and it can be more flexible. You can even use one for your vacation home or investment property. The downside is that you will likely need a better credit score than the FHA requires. For most, the above are probably the most sensible choices for home improvement loans. But, in exceptional circumstances, it might be worth considering others. You might, for example, borrow from your 401(k) retirement program. Or, if you are 62 years or older, you could think about a reverse mortgage, aka home equity conversion mortgage (HECM). However, you must consider the strategic financial implications of these methods. Use one only if you have taken financial advice from a trusted and experienced professional.